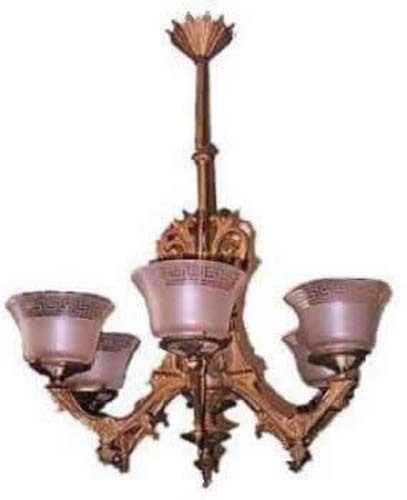 3 Arm Victorian polished antique Gas Chandelier, with rare and original period green glass globes. Circa 1890. Approx 35" long & 24" wide. Please inquire about pricing.